The reality is that the entire world is crying for the Palestinians to be given a state. I say, “Yes, let’s give them a state.” Now that we are agreed on that though, the first thing we must do is to identify who the real Palestinians are. 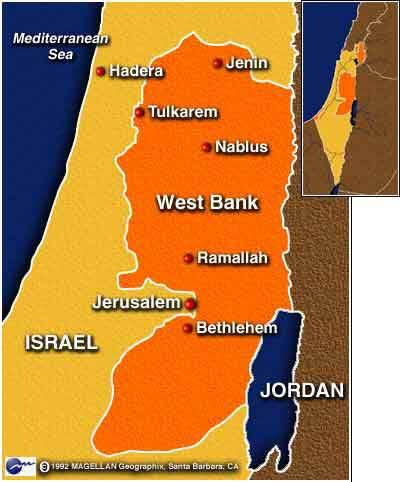 Neither they nor Palestine are mentioned in the Koran. Why? A little lesson in history: The etymology of the word “Palestinian” in English is derived from the Old French word “Philistin,” from Late Latin it is “Philistinus,” and from Late Greek, “Philistinoi.” They were not an Arab or a Semitic people, but were more closely related to the ancient Greeks and originated in the Aegean region of Asia Minor. Any student of the Bible knows that the Philistines were enemies of Israel. In the history of the Philistines is also the story of the young Hebrew man, David, son of Jesse, who was incensed that a Philistine warrior was allowed to challenge the one true God. The enemy of Israel had advanced to the Valley of Elah and there challenged the Israelites. They produced a brobdingnagian (gigantic) champion, Goliath of Gath. David volunteered to fight the giant and went out to face him with his slingshot and five smooth stones he had retrieved from a dry river bed. He slipped one of the stones into his sling and smote the Philistine on the forehead. He used the giant’s own sword to behead him. Jehovah God gave David the courage and skills not only to face Israel’s enemy, but to kill the challenger. The Israelites pursued the Philistines all the way to the city of Ekron. The Philistines were ultimately defeated, absorbed into the Babylonian/Persian Empire, and by the late fifth century BC, had disappeared. The Roman emperor, Hadrian, in response razed 985 villages and killed almost 600,000 Jews. Hadrian wiped Jerusalem and Judea off the map and deliberately renamed the area Palaestinia after the Jews’ ancient enemy, the Philistines. So, spread the word. Wanted: Non-Arab Philistines. As soon as all these peace-loving nations can prove that Philistines are back, then let’s persuade the Arab League to absorb them as refugees the way Israel did with the Jews and all nations have done. Let them then turn over the territories that have become a nightmare for the Jewish people to the Philistines. You can be certain of one thing: there will probably be some pretty large dudes in the bunch. Goliath was a Philistine, and from what I know about him, he was not what you would call a “happy camper.” I expect life will not be too pleasant for mythological Palestinians when they meet the original Philistines. Previous Previous post: Jesus Christ; The Man Who Changed The World And Divided Time.